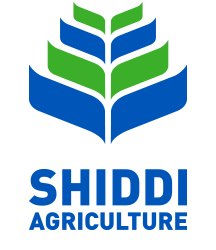 This is the most important sector of AL-Shiddi Group, which owns over 8,000 hectares of irrigated land, distributed between the wadi al-Dawaser (latitude 40) and Al-Jawf north (latitude 30). Located at various locations and plants, our agricultural sector produces wheat and fodder, dates and vegetables, peanuts, fenugreek, cumin and black bean. The vision of this arm of our company to contribute to the economical development in the Kingdom of Saudi Arabia, through heavily investing in the agricultural field, that not only meet the needs of food security for citizens, but also does so with excellence in the production of non-traditional crops.